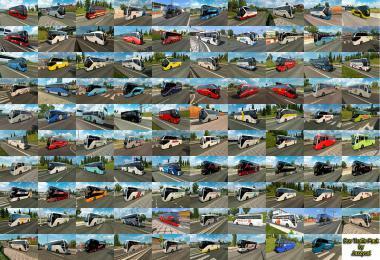 EAA BUS Map 5.0.5 Update is available for download. Remove the file EAA BUS 5.0.4 and place the new file. Enable in the mods manager. This change will NOT get you back into the garage. 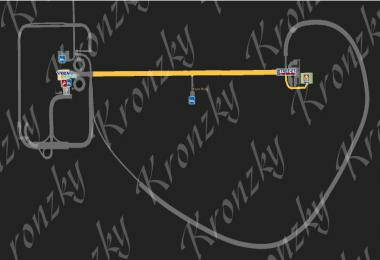 The map already has its own buses and passengers. Passengers can be taken either at bus stations or at bus stops. 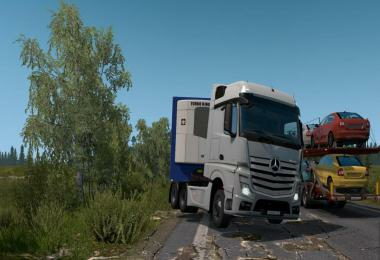 Updated road markings, shields and signs. You can use your own buses that you like. About 31 thousand kilometers of new roads. About 3 thousand km. with a soil coating. All 27 states of Brazil are covered. A total of 473 functional cities. About 3 and a half thousand km of roads were revised and restructured. roads. 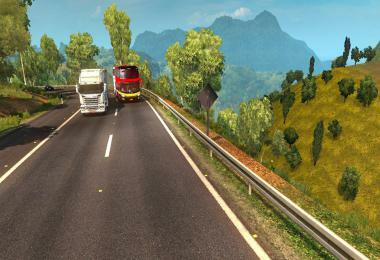 - Reworked the entire section of highway 040 between Rio and Belo Horizonte. - Changing routes in the Santos Dumont, Barbacena and Conselheiro Lafaiete region. 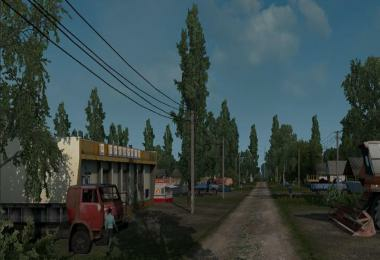 - Changed the texture of asphalt, construction sites, vegetation. 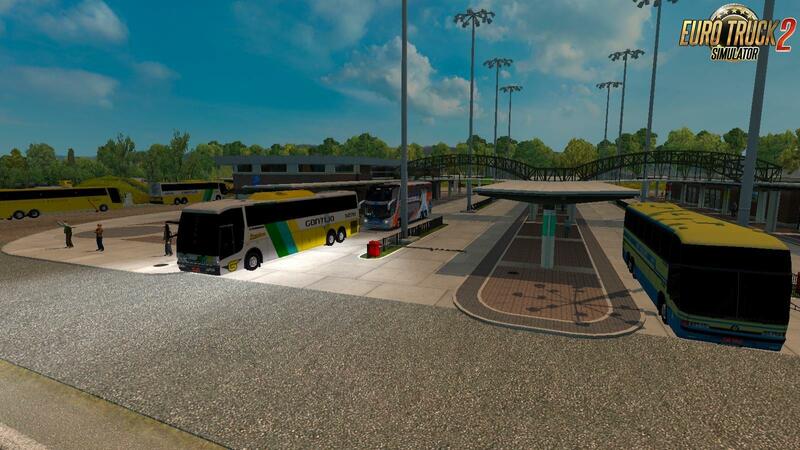 - New bus stations Petropolis. - Changes on the highway serra de Petropolis. - Changes in access to Graal Perdoes and Oliveira. - New access to various cities. - Smoothing curves and rises. - Alteration of the general federal highway Via Dutra between Sao Paulo and Rio de janeiro. 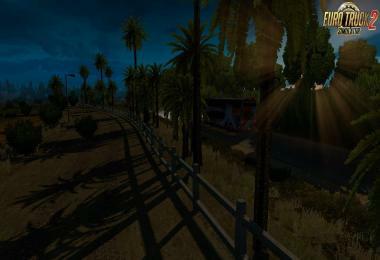 - Side roads in Guarulhos, Sao Jose dos Campos and Taubate. 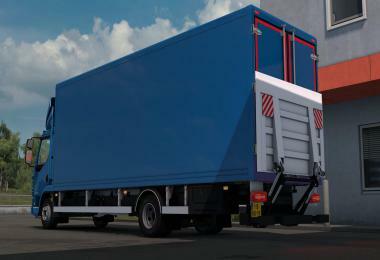 - New access to all cities. 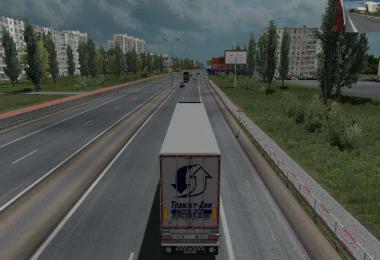 - Redone highway Rodovia Castelo Branco. - New access to the Grail Maristela. - New road tolls on the roads. * Alteration with track duplication between Ourinhos e Bauru. * Alteration of the BR-040 between Belo Horizonte and Brasilia. 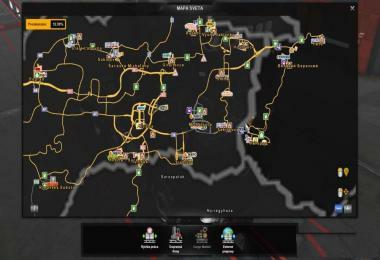 Added mining company (copy from DLC ITALIA) in the city of Paracatu. 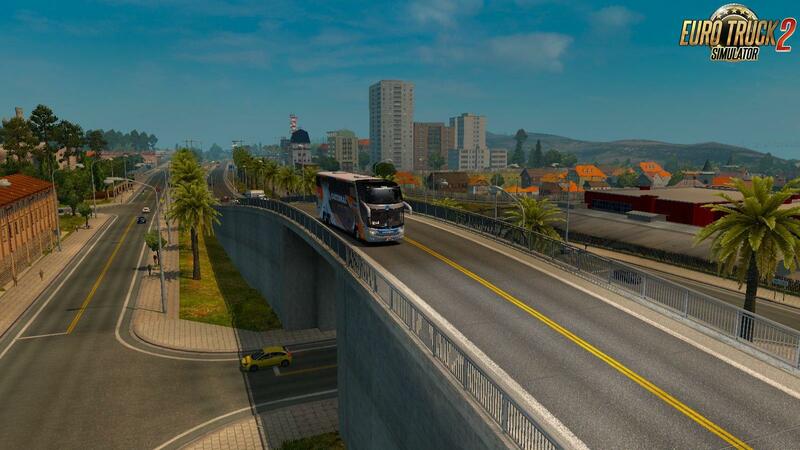 * Additional enhancements to the BR-101 Rio de Janeiro, in the Macae and Campos region. * Improvements in the BR-153 between Itumbiara and entrocamento for Baretos. * Reconstruction of the BR-393 between Volta Redonda and Alem Paraiba. * Reconstruction throughout Rio-Bahia BR-116 from Alem Paraiba to Entroncamento BR-251. * BR-262 corrections between Belo Horizonte and Vitoria (track profile). * New roads, Rio-Niteroi bridge. * New entrances to the city, more real. * Distant view of the statue of Christ the Redeemer. * Rocinha e Vidigal representadas. * Remove some items aimed at optimizing the card. * New changes in Sao Paulo. 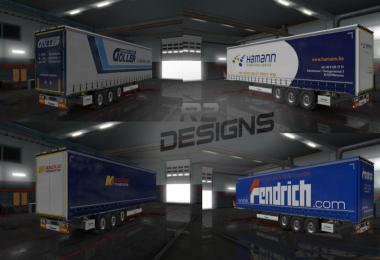 * Changing position and various improvements in Terminal do Tiete. * Changing access to Campinas, new overpasses. 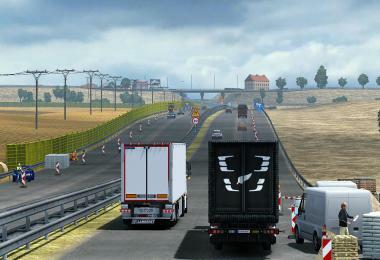 * More realistic and direct access to the Castelo Branco highway from the Estaiada bridge. * Castelo Branco side road in Osasco. * Av. Contorno, Av. Afonso Pena, Av. Amazonas, Av. Santos Dumont. * Simulation of Rio Arrudas. * Mangabeiras, serra do Curral. * Tunnel on Cristiano Machado. 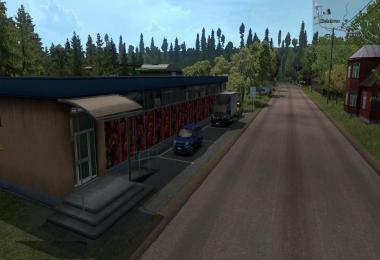 * Various improvements at the entrance to the city. * Modified access to Contagem-MG.
* New entry to Sao Jose do Rio Preto (intersection). * Changed the position of Ilhabela. 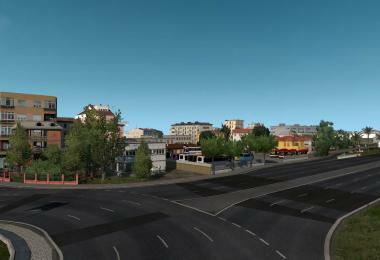 * Added 55 New Roads, in cities that were lacking in infrastructure. 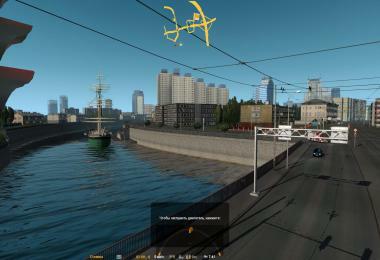 * Fixed bug with Recife viaduct on BR-232 com a BR-101 SUL. * Fixed a lack of lighting in the terminal Jabaquara - SP. 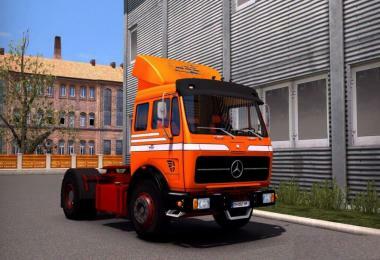 * Added company CBF em Teresopolis. * Various changes to Belo Horizonte. * Adding Mineirao, favelas, changing traffic on a roundabout. Improvements in Av N. Sra. do carmo. * Correction of errors detected by the Community. * Dozens of other changes that are not listed in this list. * New, more realistic points of support for GRAAL in Ourinhos, Sao Carlos, Ribeirao Preto, Uberaba. * Reforms in Graal Maristela, Clube dos 500, Tres Garcas, Resende. 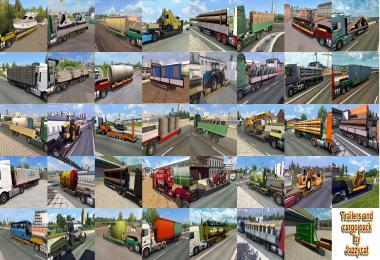 * Various changes in Santos aimed at realism.